String Quartet No. 2 "And once I played Ophelia"
The three works presented here by Australian composer and violist Brett Dean are premiere recordings, all of which highlight Dean's empathetic side: if Eclipse is an evocation of the refugees saved during the Tampa Crisis, the five movements of Epitaphs are individual obituaries for lost friends of Dean’s. 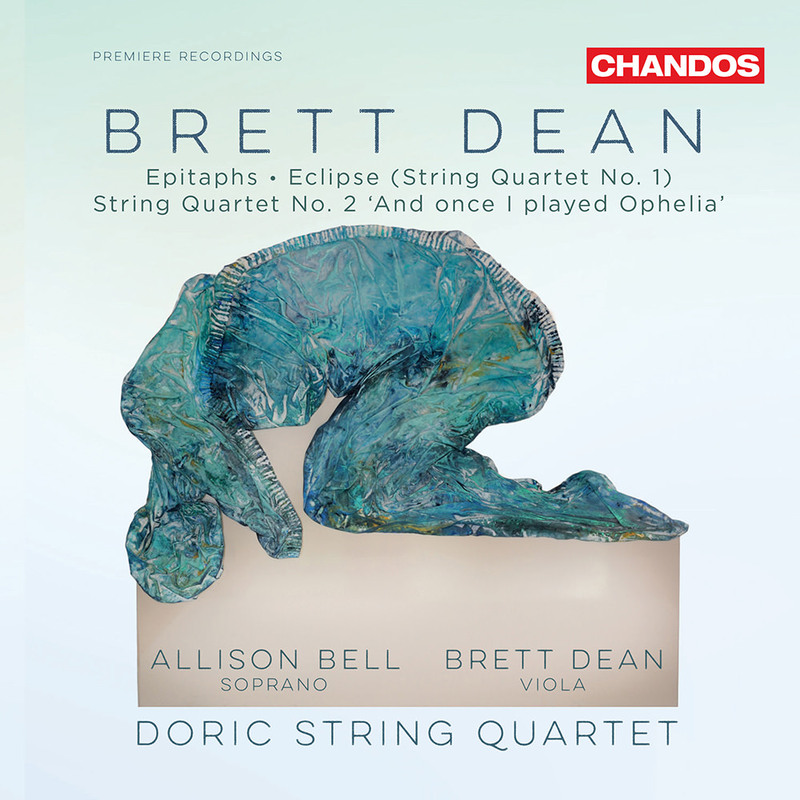 A viola player with the Berlin Philharmonic for 14 years, Dean himself joins the Doric String Quartet on the latter piece, a string quintet with two violas, while soprano Allson Bell is featured on the String Quartet No. 2. Dean has won many prizes for his orchestral and chamber compositions, including the renowned Grawemeyer Award in 2009. Design and typesetting: Cap & Anchor Design Co.